d. Jan. 1983, Indianapolis, Marion County, IN. b. in Ohio- 1870 census of Amanda Twp., Fairfield Co. OH lists her age as 22. She is still living at home. d. 2 August 2005, Marshal Co., IN. of scleroderma. buried New Oakhill Cemetery, Plymouth, IN. Long time residents of Plymouth, IN Restaurant owners. 3 children: two daughters and a son. --- 8 grandchildren, and in 2005 3 great grandchildren. Sister to Robert W. DUNNUCK of Warsaw and 1/2 sister to Ilene (HOFFER) PARKER of Warsaw. Index to Birth Records, St. Joseph Co. 1882-1920, Vol. I, page 170. James was b. March 28, 1908 and lived in South Bend until 1949. James died November 7, 1956 and is buried in Highland Cemetery, South Bend, IN. daughter of James & Barbara -- adopted daughter Kathleen b.14 Nov. 1948.
b. July 1, 1900 Dawson City, Yukon, Canada. 1916 Business Directory for Payette, ID Lists H. Burt Dannuck as a Tailor at new Plymouth. New Plymouth Population 385. Canyon county. A village on the Payette river A weekly newspaper the Sentinel is published. Also living in Canyon Co.ID in 1910 were Arthur age 32, Bert, 34 and (daughter) Phyllis age 2. Also see brother-in-law William Arthur DUNNUCK his wife is also a JENNINGS. (there is a Benson Leib., son of Charles) b. circa 1877 Hopewell, York Co. PA) same?? The Lancaster Daily Eagle mentions "Elroy" visiting Benjamin Dunnick & family in 1924. The article mentioning Grove City is under the heading of Centropolis. d. February 25, 1925 in an auto train accident - two miles east of Columbus. Buried Reber Hill Cemetery, Circleville, Ohio. 1870 census spelled Demick/Domick Page 448A Seward township, Kosciusko County, Indiana, Post Office Beaver Dam. Taken August 12, 1870. Benjamin age 29 proprietor of a saw mill. b. IN. wife Nancy age 21, b. IN and daughter Flora A. age 1. With them is Martha Messersmith, age 13. 1880 census for Harrison township, page 28, taken June 17, 1880 lists Benjamin's children by Nancy with his parents John and Henrietta Dunnuck. Flora is 11 and William is 9. In the census they are erronously listed as "daughters" but they their grandchildren. Benjamin's second wife, Sarah, had a new baby, Omer Earl that was born June13th 1870 and is not listed in the 1870 census. 1889-1889 City directory for Warsaw, Kosciusko Co., IN lists B.H. DUNNUCK, Miss Flora A and Wm M. DUNNUCK living at 27 Hayes Street. (where is Sarah (Wife 2) & children?) Source Rootsweb - need to check this. Photos of Tombstones "Lumber Trade ..."
1910 census for Wayne township, Kosciusko County, IN, series T624, Roll 357, book 2, page 219b has Benjamin age 68, married 2x's listed as a commercial salesman. Wife, Sarah F. is 50 years old, married 1x for 32 years and having had 4 children, 2 living. Daughter Ruby G is 21 years and single. 1920 census for 3rd Ward, Warsaw, Wayne township, 2nd pct., Kosciusko County IN. series T625, roll 439, pt 2, page 277a has Benjamin 78 and Sarah F 6? 1930 Census has Benj. 89 and Sarah 72. Living on West South Street. m.#1 Nancy MESSERSMITH 18 Apr. 1867 she was the daughter of Ephraim and Matilda (or Mililda) (WORSHAM) MESSERSMITH of Fayette & Kosciusko Counties in IN. Ephraim was b. 28 Feb 1813 in Tazewell Co. VA and d. 9 November 1856 in Kosciusko Co., IN and buried in the Old Palestine Cemetery. Ephraim & Matilda were wed in 1836 in Fayette Co., IN. Benjamin & Nancy were wed in Kosciusko Co. IN. The marriage index has April 14th - but I have the original license which says the 18th. Nancy's siblings were all born in Kosciusko Co., IN. They were Jeremiah b. 1838, Elizabeth b. 1839, Andrew b. 1843, Benjamin b. 1845, Francis b. 1851, George b. 1854 and Martha b. 1857. (Ephraim d. in 1856 and is buried in Old Palestine Cemetery in Harrison twp.) His wife was born 21 Oct. 1821 in Connersville twp., Fayette Co., IN. Nancy's parents appear in the 1840 Kosciusko Co. Census. It looks like Ephram and wife, two children, a son and daughter (probably Jeremiah & Elizabeth both born in IN) and an older male, Jefferson b. ca 1809 in VA. with no occupation. In the 1850 census for Franklin township, Kosciusko Co., IN. Ephraim is age 35 b. VA, and listed with his is 29 year old wife Millilsdia who was born in IN. Also with them is a Jefferson Messersmith, age 41, who had no occupation.. (perhaps an older brother. ?? handicapped ? ) None of the adults can read or write. Children in the household are Jeremiah age 12 and Elizabeth age 10 (probably from the 1840 census) and Andrew J. age 7, Benjamin age 5, Nancy age 1.
d. May 5, 1871 d. age 22 yrs.______, 12 days. m. #2 Sarah Frances MITCHELL, daughter of Amos and Elvira (SELF) MITCHELL. Sarah's siblings: Nancy (1852-1855), Rosetta C. b. 1854, Sarah F. 1857, Thursa E. b. circa 1859, Edward b. 1862, Jasper N. b. circa 1863, Hattie M. b. circa 1869, Margen E. (f) b. circa 1872, Minnie B. b circa 1875 Her parents lived in Empire, Ellsworth County, Kansas in 1880. Sarah's brother Edwin Mitchell lived in Santa Rosa, CA in 1944. Civil War- Union: Benjamin H. was a Sergeant , in Co. K. Unit 74 Indiana Infantry. I have one of his civil war diaries and original discharge papers. Benjamin enlisted August 18, 1862 and mustered out at Washington D.C. on June 9, 1865. They fought in the battle of Munfordville in KY in 1862 & 1863, Chickamauga in Georgia in Sept. 1863, Missionary Ridge in TN and were in Sherman's march on Georgia in 1864. Jonesboro, Calhoun and Kingston. When the war was over, with his company, he marched to Washington where he wrote his name in gold leaf on the dome of the nation's capitol. Benjamin was one of the first in his area to apply for a pension shortly after Congress enacted it. His wife applied for survivors benefits. SERVICE. Battle of Perryville, Ky., Battle of Stone's River December 30-31, 1862, and January 1-3, 1863. Battle of Chickamauga September 19-21. Siege of Chattanooga, Tenn., September 24-November 23. Chattanooga-Ringgold Campaign November 23-27. Lookout Mountain November 23-24. Mission Ridge November 25. Pea Vine Creek and Graysville November 26. Ringgold Gap, Taylor's Ridge November 27. Regiment re-enlisted January 1, 1864. Atlanta (Ga.) Campaign May 1-September 8, 1864. Demonstrations on Rocky Faced Ridge May 8-11. Buzzard's Roost Gap May 8-9. Battle of Resaca May 14-15. Advance on Dallas May 18-25. Operations on Pumpkin Vine Creek and battles about Dallas, New Hope Church and Allatoona Hills May 25-June 5. Pickett's Mill May 27. Operations about Marietta and against Kenesaw Mountain June 10-July 2. Pine Hill June 11-14. Lost Mountain June 15-17. Assault on Kenesaw June 27. Ruff's Station, Smyrna Camp Ground, July 4. Chattahoochie River July 5-17. Buckhead, Nancy's Creek, July 18. Peach Tree Creek July 19-20. Siege of Atlanta July 22-August 25. Utoy Creek August 5-7. Flank movement on Jonesboro August 25-30. Near Red Oak August 29. Battle of Jonesboro August 31-September 1. Operations against Hood in North Georgia and North Alabama September 29-November 3. March to the sea November 15-December 10. Siege of Savannah December 10-21. Campaign of the Carolinas January to April, 1865. Averysboro, N. C., March 16. Battle of Bentonville March 19-21. Occupation of Goldsboro March 24. Advance on Raleigh April 10-14. Occupation of Raleigh April 14. Bennett's House April 26. Surrender of Johnston and his army. March to Washington, D. C., via Richmond, Va., April 29-May 19. Grand Review May 24. Moved to Louisville, Ky., June and there mustered out July 21, 1865. Regiment losses during service: 5 Officers and 108 Enlisted men killed and mortally wounded and 1 Officer and 196 Enlisted men by disease. Total 310. B. H. Dunnuck & brother-in-law Everly purchased land in Seward, Co. KS. ( Nov. 21, 1887, Feb. 23, 1888, Mar. 20, 1889) according to old records found in his daughter, Ruby Dunnuck Nusbaum's papers, after her death in 1962. A record at LDS, batch 500931, sheet 1 gives Nancy's surname as MESSERSMITH and the date as the 14th. Sources: Geographical & Historical Record of Kosciusko Co. IN. Lewis Publ. Co., Chicago, IL , Publ. 1887, Pages 449-50. Obituary from a Warsaw, IN Newspaper, The Benjamin Dunnuck family BIBLE. Marriage Index, A-Z, Allen County, IN Page 809. Original Marriage license in possession of webmaster. Tombstones. Personal knowledge and family records, documents and photos. Census data from 1850-1930.
. . . . . .Son: Leonard DUNNICK(b August 1878 ) d. Jan. 20, 1879, age 5 mos. and 10 days buried Brobst Marcy Cem. Source: 2nd wife and family from the book Historical Account of the Peters Family, compiled by June (Shaull) LUTZ, 1986, Pages 133-150. Donated by Roland & Karla STEWARD of Nebraska. m. #2, Mary BELONG - March 18, 1886. d/o David & Anna (STUCKEY) BELONG. two brothers survived her, Samuel and David. Children: Whipple Ray DUNNUCK age 21, b. 1889.// Cleona Minerva DUNNICK b. 1891 //. Benjamin Elroy "ELROY" DUNNICK b. 1901 // Henton Monroe "Fremont" "ROE" DUNNICK b circa 1906. See 1910 Pickaway Co. OH Census for approx. birth dates. Benjamin Moore DUNNICK had no biological grandchildren. Whipple adopted the nephew of his wife. This is Benjamin's only grandchild. 1900 Census: Benjamin age 44, was born March 1856. He and current wife had been married 14 years. Wife, Mary was 35 years old and born June 1864. She has produced two children, Whipple R. age 11, born March 1889, and Cleona M. age 8, born August. 1891. Benjamin was a grocer and home was on Star Avenue. Source: Microfilm: series T623, roll 1266, book 2, page 191, Marion Township, Franklin County, Ohio. Cleona did quite a bit of genealogy work. Does anyone know of her work? I have seen some of her letters written to various family members. Would love to see her work. Might I have the nick name "Roe" on the wrong person? See Henton - may have also used the name Freemont. None of Benjamin's children produced issue. (one adopted) End of this line. Occupation listed in the 1891-92 Columbus Ohio City Directory as "Driver" living at the NE corner of Mound and Miller in Columbus, Ohio. d. Sept. 12, 1859, Walnut twp., Pickaway Co., OH. (Benjamin appears in the 1850 Walnut township census but not the 1860 census. - Minerva is living with daughter Iva in 1910 census . 1880 census, Walnut township, Pickaway Co. OH T9-1058, page 435C Minerva, age 61, widow - her parents both born in VA.
1900 living in Walnut township, Pickaway County, OH. Listed as Head of Household,age 80, a widow - seamstress. Her daughter Ivy, single, age 52 was living with her and also a seamstress. 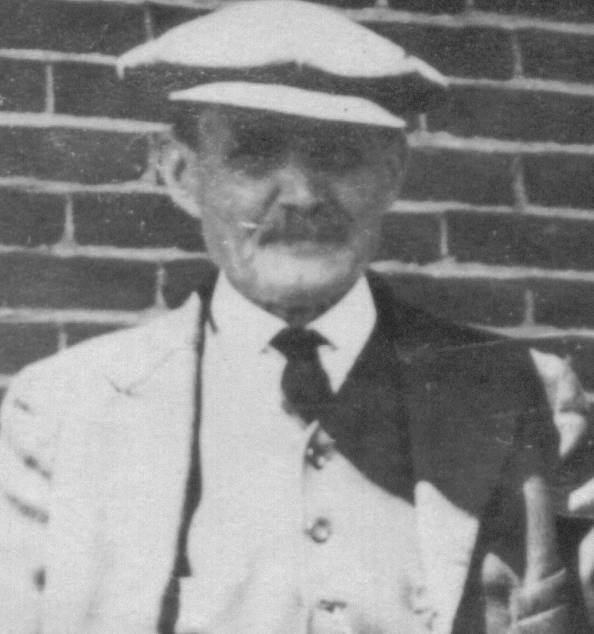 From a 1906 biography of his son Henton: "His father was born, reared and educated in Walnut township and here became a prominent farmer. He died September 12, 1859"
"Our subject's mother was a daughter of William and Permelia Ashbrook, both natives of Virginia and is still living at East Ringgold, aged 87 years." 1910 census has 90 year old Minerva living in home of Edwin & Ivy (daughter) NEWTON, Pickaway Co., OH. She is listed as Mother-in-law. Source: 1850 Pickaway Co. OH Census //1880 Census // 1900 census for Walnut township, Pickaway Co. Ohio // 1910 Census Pickaway Co. OH. // Correspondence with Andrea (Mrs.William Sachs - Ashbrook family researcher.// and many many others. b.2 Sept 1877 - WWI & WWII Draft Registration cards. Farmer/ Next of kin "Iva" B. DUNNICK both WWI (1917-18) & WWII (1943)draft registration cards. Wilma, g.daughter of Charles & Elizabeth-- lists Benson L. as born in 1876 and married to Iva McDonald. Also see Bencent above. ?? For many years after retirement they spent the winter in North Fort Myers, Florida and the summer in Peoria. Paul Bernard Molloy, born June 21, 1938 in Peoria IL. John, father of Bernard was born March 1928 and d. Dec. 1975. Orpha had children by her first three (of five) husbands. John was her 2nd. Survivors include her husband of 65 years, Lyman Dunnuck; sons, Frank & Donald Dunnuck; daughter, Bonnie Brown of Nevada; 15 grandchildren; 19 great-grandchildren, and a great-grandchild; nieces and nephews. She and her husband moved to the Washington D.C. Metropolitan Area in 1946 and settled in Franconia, VA in 1953. Together, they owned the AAMS, Inc.
She was preceded in death by a son, Lyman Eugene Dunnuck in 1990, and a daughter, Carole Ann Majors. Interment followed funeral services conducted on Wednesday, August 29, 2007. 1910 Census Canyon Co. ID. Arthur age 32, Bert, 34 and (daughter) Phyllis J. age 2. Bert Dunnuck, J. H. Helman, H. E. Duel and Calvin Keller. WWI Draft records for Henry Albert DUNNUCK (Payette ID) gives birth as 11 January 1876, age 42 Wife Belle DUNNUCK "Tailoring"
d. Feb. 10, 2000 Indianapolis, IN.at Community Hospital, South. Bur: Washington Park East Cemetery, Indianapolis, IN. Marshall b. 7 Mar 1872 at Fayette City, IN, d. 7 Jan 1944, bur Washington Park Cem. in Indianapolis, and Christine b. in Columbus IN July 17, 1882 and d. May 1, 1939, and I assume also buried at Washington Park. Marshall & Christine m. Jan 28, 1900 in Indianapolis. 1930 Census for Indianapolis, Marion, Indiana, Center township. Elmer O age 28 b. IN - Bertha age 25 - Grace age 7 - and Jack 1-3/12 months. (age at marriage 19 & 17) Bertha's mother was born in Germany. Elmer was a clerk in a plumbing supply store. Lived on Richland Street. Southport United Methodist Church; 50 year member of Eastern Star. Source: Bertha's obit pub. in the Indianapolis Star, Fri. Feb. 11, 2000, also Johnson Co.'s Daily Journal..// information on Elmer's parents-by grdickey(a)metopath.com // children by her nephew, David Dunnuck & Dickey site. Gladys and Bertha DUNNUCK left Saturday for a few weeks visit at Lanham with relatives, thence to Beatrice (NB) to visit their father. + Archie McDougall LUKENS on June 12, 1920 in Leavenworth Co. KS. The age is about right for Archie L. (5 yrs), but the middle initial is L. This needs further study. If this is correct his siblings are Helen age 19, Mary age 13, and Lea C (brother) age ?? 1930 census lists Archie as an assistant professor at the university. Living in the city of Norman, Norman township, Cleveland County, Oklahuma. Bertha's half-sister Fern, age 21, single was also living with them. She is listed as House Keeper in a private home. Children: as of the 1930 census: one child. David b. OK age 1-3/12 years. b. circa 1885 - inmate at state asylum for the insane. Mahoning twp, Montour Co. PA.
Obituary published Wed, April 9, 1997 Indianapolis Star. wife of Wayne E. Stuart : (1st husband) Wayne was b. Dec. 9, 2009, d. after Betty on 9 Dec. 2009. His second wife was Stella Johnson who died in 1988. Carla Assume Mr.William "Bill" M. Dunnuck is her father Carla has one child. ...and one of her siblings, sister Beverly J.survives. Preceeding her in death were: her husband William M. in 2008 // brothers Jack and Harold Andrews and sister Dorothy Elston and one great-grandchild. Bill and Betty enjoyed fishing in Edwardsburg, MI and winters in Sebring, FL. Obit of her brother, Jack ANDREWS, publ in the Elkhart Truth August 6, 2002. Sources: Evening News, Sault Saint Marie, MI publ April 24, 2004 - Dorothy's obit. // Betty's obit published in the Elkhart Truth (Indiana) March 29, 2011, and the Indiana "South Bend Tribune" on March 29, 2011 // and Wayne Stewart's obit -- he d. Dec., 9, 2009, his obit is the Elkhart Truth, (IN) // obit of William "Bill" M. Dunnuck May 30, 2008, the Elkhart Truth, (E-Truth) Indiana. Democrat. Delegate to Democratic National Convention from Indiana, 2000, 2004. Female. Still living as of 2004. Ruth J MILLER (Mrs. Charles Robert TEST b. 1915) Ruth was born 24 June 1918 in E Hopewell, York, Pennsylvania and d. 28 November 1988 in E Hopewell, York, Pennsylvania They had 3 children. 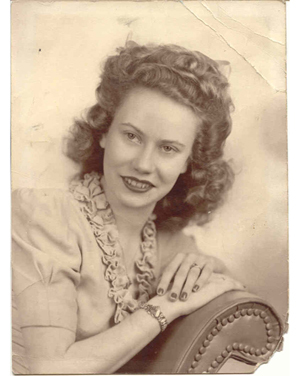 Beverly d. age 83, Obit Goshen News publ 31, May 2011// Buried Little Pine Cemetery. 2011, Three married daughters: C. G. L //, C. K. M. // and J.A.M. and one son, J. P. D.
// she had seven grandchildren, and seven great-grandchildren. Richard D. "Corkey Marshall of Elkhart. d. July 3, 1962 of Wessington Hand, S.D. Source LDS File - on-line. Blanche BASKE d. April 13, 2003. 89 years, 11 months, and 27 days Obit published in the South Bend Tribune on the 15th. I believe that "Minnie" is a nickname for Philomenia. Find out about Philomenia Dunnuck age 58 and George Dunnuck 23 also are living in Atchinson Co. KS. Egbert died in 1927.
married #2, Floyd Earl BASKE September 30, 1939. License date was 29 September 1939, Book 117, page 298.
wed 1911 in Marysville, KS. s/o George W & Alice (CROOK) DEXTER of Ontario, Canada. They came to Center KS before 1885. Alice was born in England, George in Canada. d. June 6, 1957, buried Waterville, KS. in 1930 Elmer W. was working as a toolman at C. Bridge Garage. Source 1930 census for Atchinson, Atchinson Co. KS, Blanche living with mother. She was single, age 17 and working as a cosmotologists in a beauty shop. d/o Charles M. and Elizabeth Ann (Leib) Dunnick. b. Sept. 1880 per 1900 census. b. circa 1879/80 -- 9 months old in the 1880 census for Amanda Twp., Fairfield, Co. OH. b. Sept 1880. 1900 census she is 19, single, and living in Hocking twp., Fairfield Co. OH with her sister and brother-in-law John and Iva MILLIGAN and her widowed mother & brother Clyde . Her name is spelled DUNICK in the 1900 census. + John William GLOTFELTY + May 27, 1949 John William Glotfelty of Fairfield,, Keota, IA in the Church of the Brethern. They had 6 Children (Info...Private). In 2009 they had 14 grandchildren & 2 great-grandchildren.